CAN IT TEXT? BLOG? SCROLL? WI-FI? TWEET? No. . . It’s a book. No matter how many electronic devices are available these days, you can't deny the simple appeal of a good book. 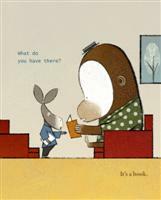 Monkey is reading a book, but his friend wants to know what the book can do. 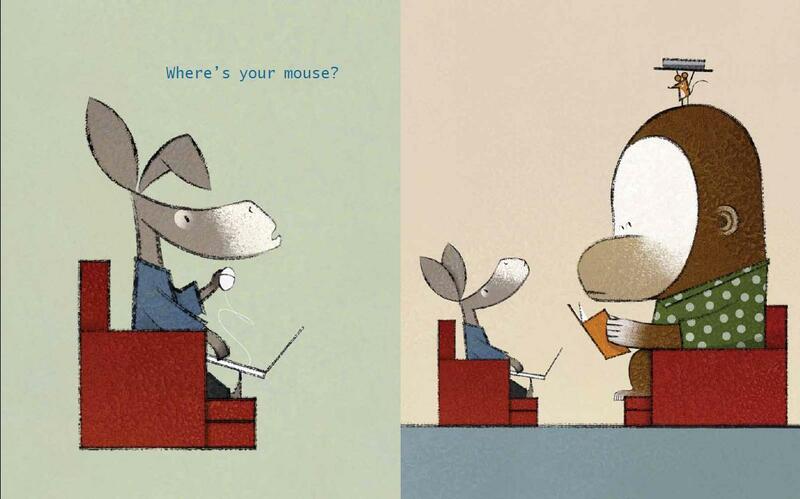 Does it have a mouse like his computer? Can you make the characters fight? And does it make loud noises? No, it's a book. 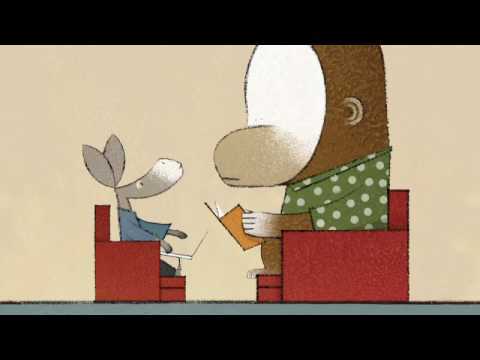 Monkey's friend discovers that a good book doesn't need fancy electronic accessories.